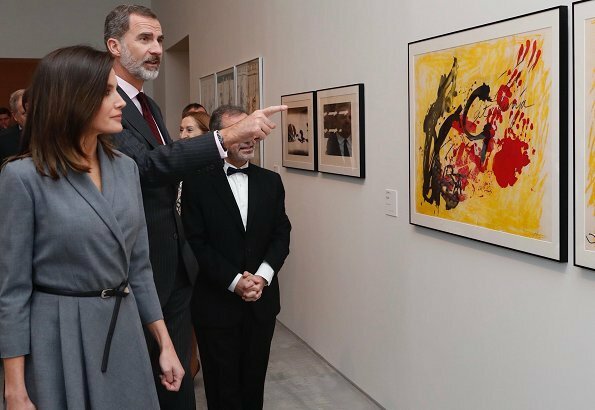 On December 3, 2018, King Felipe VI. 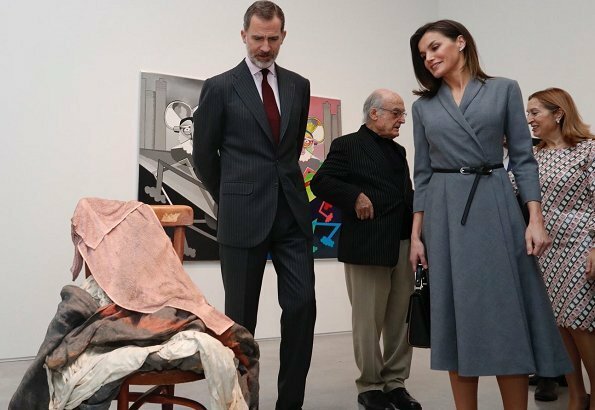 of Spain and Queen Letizia of Spain attended the opening ceremony of 'The Poetics of Democracy: Images and Counter-Images from the Spanish Transition' exhibition, held at the Queen Sofia National Museum and Art Center in Madrid, Spain. The Poetics of Democracy exhibition consists of mainly works belonging to Reina Sofia Museum collection. Love this dress/coat reminiscent of the 50's, feminine, but also very sober, I would have liked to see a brooch or a necklace, but it's well know that she is not partial to either. Glad that she wasn't wearing the usual clutch. 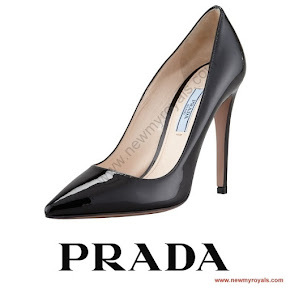 Of course you can't go wrong with a Prada shoes. Sorry but this dress reminds me to a nun's habit. Perfect hair and make Up althoug her hair is darker and she looks a bit harsh. Nuns's habits always have been modest and elegant. Vaya chiste. Ahora el cabello oscuro es un problema. ¿Es obligatorio ser rubia teñida? Si el cabello de Letizia se ve áspero, no quiero pensar en los pelos de otras. Y no es áspero su cabello. Solo que sus facciones se ven más duras con el pelo más oscuro. I love the dress but I agree about the hair - I commented on it a few appearances ago. It looks a bit dark and it also looks patchy - but that could just be the lighting. In Spain it is on trend to have the ends fairer. It might be the explanation. The color and style of the coat dress, accessories, hair and makeup are all muted with good reason as seen in these photos, and probably reflects the theory that some thought goes into these appearances. Opinions without facts are gossip. Yo pienso que Letizia ha eliminado con sucesivos cortes las mechas o reflejos más claros que llevaba. Es bueno sanear el pelo y dejarlo crecer libre de química por un tiempo. Eso es todo, no veo problema alguno. 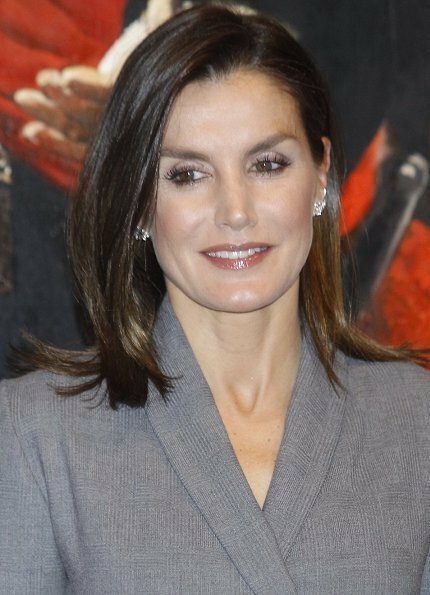 Very nice, a classic look for Letizia. Next time same dress but other color shoes and bag to really make it pop. It is very meaningful for me to have learned about the Spanish Transition to Democracy this time. Thank you very much. Fab look on her. 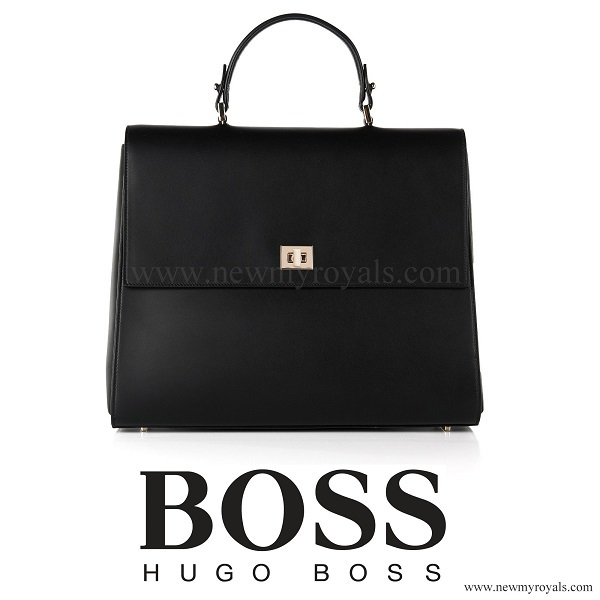 Old world royalty elegance interpreted in a new and modern way. All of the pieces reflect a certain quality, but the outfit in total is a quiet whisper in homage to the event. Very stylish. Nothing too much, nothonh too less. Oh I like this dress so much! 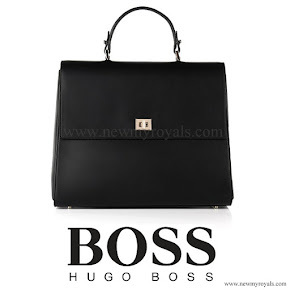 An very elegant look which is truly queenly! Quelle élegance, rien à ajouter, robe, chaussures, sac, coiffure, maquillage, parfait! Simple, classic and at the same time, modern look! Precioso vestido, sobrio y elegante. Contrapunto muy acertado del cinturón, los zapatos, el bolso y los pendientes Pluma de Chanel. Perfecta. Where is this dress from? Anyone?